Ahhh… Paris. City of love, city of light…Perfect for a summer getaway. Go with an open mind and good walking shoes, and you’ll fall in love. I promise. If you go, here are a few suggestions to make the most of your trip. 1. If you love literature visit the English-language bookstore Shakespeare and Company on Paris’s left back. Opened by Sylvia Beach in 1919 (at its current location since 1922), the shop was a gathering place for some of the 20th centuries greatest writers like Ezra Pound, Ernest Hemingway, James Joyce, Gertrude Stein, and F. Scott Fitzgerald. Plus, it’s super funky and full of interesting things; it’s worth a visit. 2. Visit O Chateau for the absolute best wine experience in Paris. 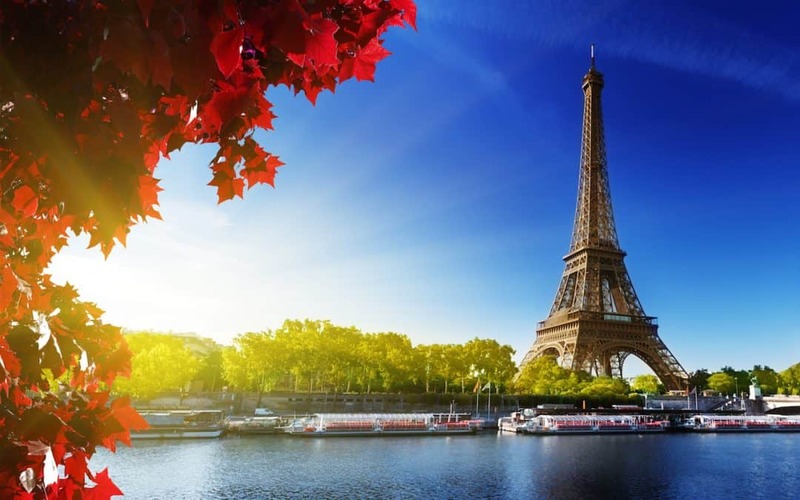 From a wine and cheese lunch to a Champagne Cruise on the Seine or a full day small-group tour to the Champagne region of France, O Chateau will quench your thirst for wine and knowledge. 3. Musée d’Orsay is housed in a former train station making the museum open, bright, and beautiful. It also houses the largest collection of impressionist and post-impressionist artists including, Monet, Renoir, Degas, and Van Gogh. 6. Be sure to save a few hours to spend on the charming market street, Rue Cler (in the 7th arr). A favorite destination for visitors and locals alike, you can find just about anything you might want to eat, drink, smell, see, hear or buy. Try a freshly made crepe from the stand outside Ulysses restaurant…C’est délicieux! 8. Get up early, find a café, grab a table, and enjoy an espresso while you watch the city come alive. When you look for a meal look for places with locals having fun and avoid restaurants with “WE SPEAK ENGLISH” signs and “TOURIST MENUS” advertised out front. Don’t be intimidated, know the 12 Phrases and get a fabulous meal. 9. Remember that Parisian waiters are paid well without surviving on tips. Slow service is good service, there is no rush, and meals should be savored and enjoyed. If you want a quick bite, pick up fresh bread, cheese, and fruit from a market and enjoy. Another tip: You must ask politely for the check when you are ready to leave (L’addition, s’il vous plait.). The waiter will never just leave the check on your table because it’s considered rude. 10. Pay a visit to the funky and romantic neighborhood of Montmartre. Located in the 18th arrondissement, the neighborhood was home to many late 19th and early 20th century artists like Monet, Toulouse-Lautrec, and Picasso. Visit the famous “Moulin Rouge” or take a food tour while you’re there. 11. The Eiffel Tower is a must-climb for many people who visit Paris, but it’s also crowded, and the lines are long. Purchase tickets online before your visit, or hire a tour guide with skip-the-line access. Get a reservation for the restaurant on the first level, and you can bypass the massive line for the elevator. It is a great way to get feed and see the whole city without the crushing crowds at the top. 12. The Louvre is huge, hot and crowded and considered a must-see for many people. Remember, Paris is full of amazing museums with shorter lines and smaller crowds. Bottom line, do you want to spend your time in Paris waiting in line or exploring? I say skip it.